In Februrary and March of 2008 Tom and Esther together with our friends, Clayton and Marvel Buhler from Onida, South Dakota, set forth on a Grand Tour that would take us to Amsterdam, Dubia UAE, Jordan and Israel. We had a wonderful time, saw many amazing things and were blessed to have good health, safety and times of spiritual refreshment. 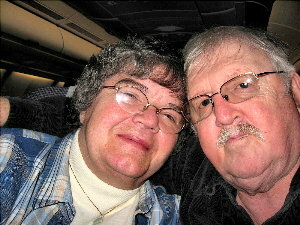 Thursday 2/21/08 – We departed Pierre. 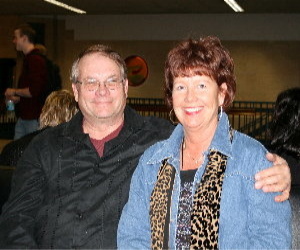 We ate supper at McDonald’s in the MSP Airport and started on to Amsterdam. Friday 2/22/08 – In Amsterdam we rode a train to City Central and then walked through the Red Light District. We learned that “café” means bar, and “coffee house” means pot. We ate Chinese lunch – good food, terrible service! We toured the Anne Frank House. I was saddened by the thought of this place in the shadow of a huge church! It was raining and cold in Amsterdam. Saturday 2/23 – We arrived in Dubai at 6 a.m. We visited the Fish and Produce Market and enjoyed an outdoor supper of hammour (a local fish). Sunday 2/24 – We visited several malls and the Old Market. We had Mexican lunch and then saw the Ibn Battuta Mall with buildings for each of several countries, especially enjoying the Persian area and all the blue tiles. We had supper at TGI Friday’s while watching the indoor skiers! Monday 2/25 – Tom worked, the Buhlers went to the museum, and Becky and I shopped a bit. I bought lovely fabric for shalwar khamis. After a wonderful “local” lunch at the Wafi City Mall, we Harmons and Buhlers went on a Desert Safari – dune busting, camel riding, photos, dinner, belly dancing. Tuesday 2/26 – While the men went to see about tickets, we ladies went to the Blue Souk. I bought a handmade cotton/silk rug, made in Kashmir in an Iranian design, from Abdul Hussein (from Yemen). Our lunch was espatatas (Portuguese kabobs) in Nandos (a South African restaurant). We sewed pillows and did laundry in the afternoon. For supper we enjoyed shwarma and Iranian flat bread. We were again amazed at how the men slap the large flat bread against the walls of the brick oven. Wednesday 2/27 – We flew from Dubai to Jordan and then on to Tel Aviv. In Jordan we had a tour of Amman, with Hussein and Yusef. We saw the King Abdullah Islamic Center, and within a block of it were two churches (Catholic and Orthodox). We also saw a Roman Amphitheater, built during the reign of Antonius Pius. Jordan’s independence movement began from the oldest mosque in Jordan, in downtown Amman. Most Moslems in Jordan are Suni. Fewer than 1% practice polygamy, though the Sharia allows a man to have four wives. There are five Palestinian camps in Amman, 10-15 in all of Jordan. As we drove past stony fields we commented on the seed that fell on stony ground. Certainly that is true in Jordan! Less than 10% of Jordanians are Christian. We went to Madaba, which is a largely Christian town. We toured a Greek Orthodox Church there. It was rebuilt in about 1900 and contains remaining parts of a 5th Century mosaic map on the floor, as well as other mosaics and paintings. We had a buffet lunch and then went to Mt. Nebo, from which Moses looked into the Promised Land. Also there are the remains of Roman mile markers. *Note: Links to pictures take you to a set of pictures relating to the link. To return to the Journal use the link at the bottom of the "thumbnails" - small pictures - on the left side of the screen. There are also many links to informational sites on the internet. If you go to one of these, use your browser's "back" function to return to the Journal or the pictures, as the case may be.